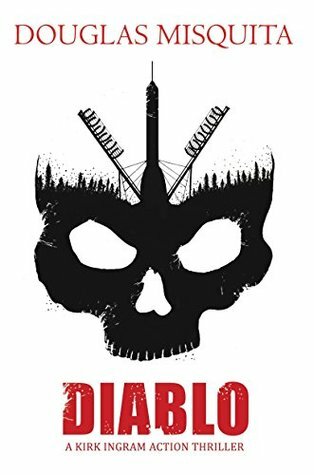 The book Diablo reminds of an action role-playing hack and slash video game by the same name, Diablo. Just as in the game there is intolerance, violence and disintegration in the story, where a lone man has to battle against all odds to stop the genocide. However, the difference between the game and the story is that the story is presented in a very realistic manner and shows the hard work and research of the author. Douglas Misquita has used a great mix of technology and modern day problem to create an entertaining and thought provoking thriller. European migrant crisis is a rising problem as people from different nations like Middle East and South Asia try to enter into the EU often illegally. While the migrants suffer real problems in their native lands to risk such dangerous journeys, the natives also suffer a number of problems by these illegal immigration. The author focuses on this problem from various angles and shows the need to solve it in an immediate manner. The book takes the readers along in a number of journeys through different cities across the world such as Somalia, Austria, Libya, Mumbai and Kazakhstan and all the places were well described. The tone of the book is serious as if both the protagonist and the author are on a serious mission to save the humanity. The plot is tight and fast and the book maintains its grip all through its ending.